Global Chem-feed Solutions (GCS) fabricates custom skid mounted Chemical Dosing Systems for a wide variety of applications. The GCS staff has a combined experience of over 150 years in producing custom systems. 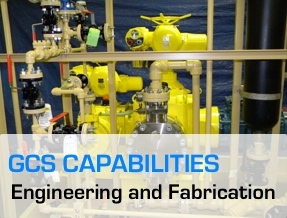 GCS works with each client and can discuss all available options and parameters to provide a cost effective solutions to difficult applications. Skid mounted systems typically include; dosing pumps, mix tanks, agitators and local control panels, complete with all piping and wiring. Skids are engineered, fabricated, tested and documented to comply with applicable U.S. and International industry codes and standards. The GCS team is looking for talented professional specialists in various fields.